We are showing as many games as possible .. 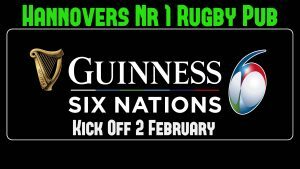 The BIG Game on the opening weekend Ireland vs England Saturday 1745 kick off ! !